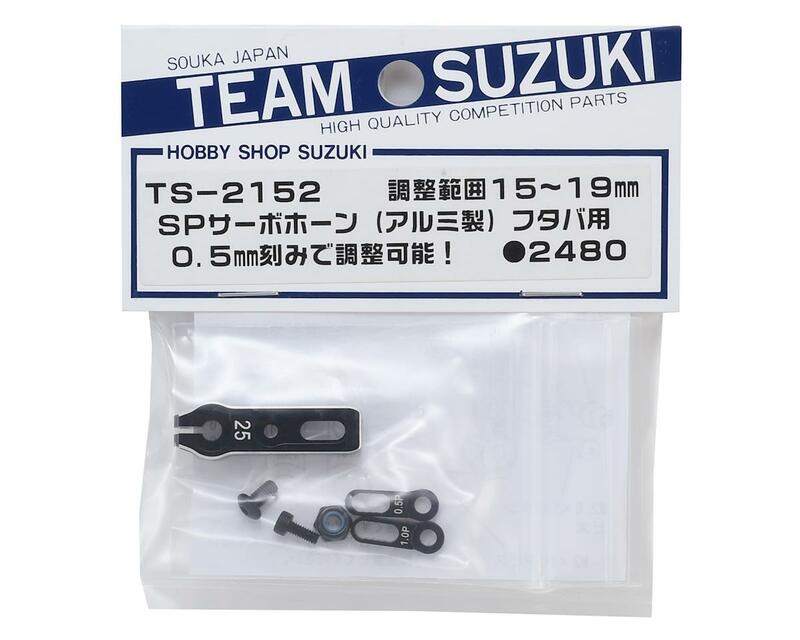 This is the optional Yokomo Team Suzuki Aluminum Adjustable Servo Horn, for use with 25 Tooth splines; such as ProTek R/C and Futaba servos. This high precision aluminum servo horn provides adjustability between 15mm and 19mm, with adjustability in 0.5mm increments with the use of insert frames. 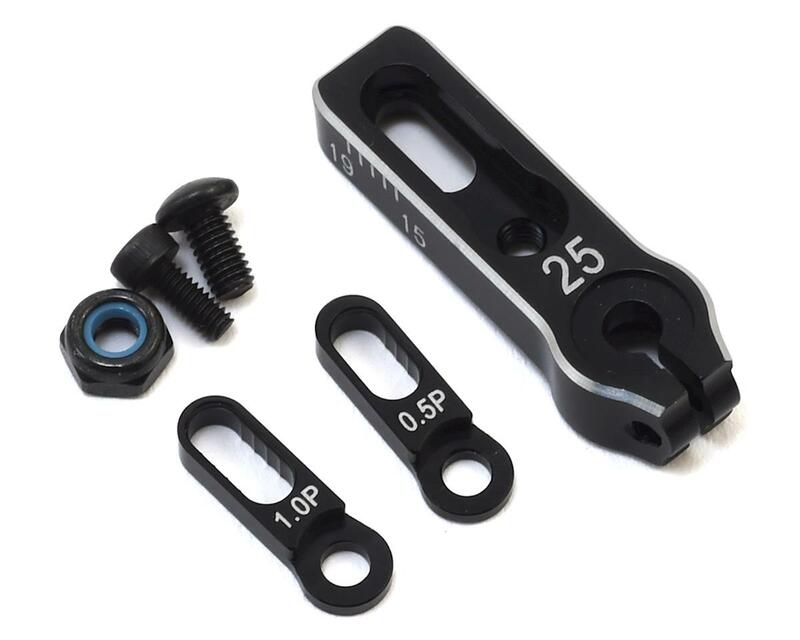 There are two types of positioning frames, 0.0mm position reference and 0.5mm position reference, and mounting holes are set for 1mm each.